If you've been in the UK recently, or if you follow much British TV news, you've probably heard of the mega-hit thriller Bodyguard (not to be confused with The Bodyguard, the 1992 drama starring Whitney Houston and Kevin Costner). Over in the UK, Bodyguard had the largest premiere of any new drama in the last 12 years. As more episodes rolled out, the series continued to garner incredibly high ratings. 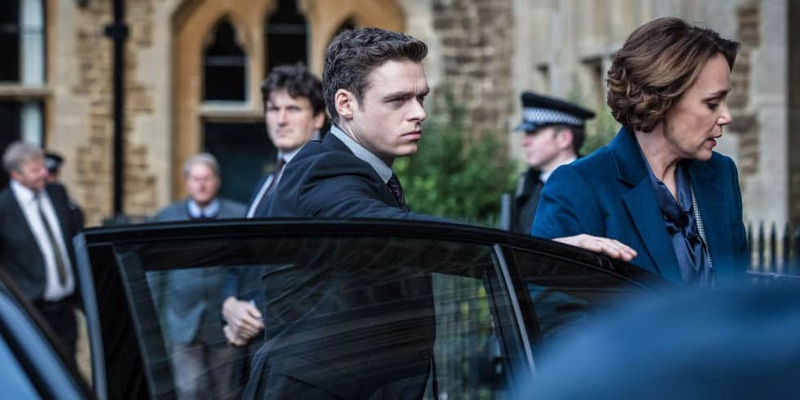 Bodyguard has also been a hot topic of discussion in the I Heart British TV Facebook group recently. UK-based members have had to be careful not to reveal spoilers to anxious members in other parts of the world. Given the incredible reception, it's no surprise Netflix rushed in to pick up distribution rights for Bodyguard. Lately, it seems like a number of the hot new dramas have been picked up not by British streaming services like Acorn TV or BritBox, but by larger mainstream media companies like Showtime, Cinemax, Sundance, and Netflix. Recently, we saw C.B. Strike and Rellik go to Cinemax, The Split and Law & Order: UK go to Sundance Now, Collateral go to Netflix, and Patrick Melrose go to Showtime. 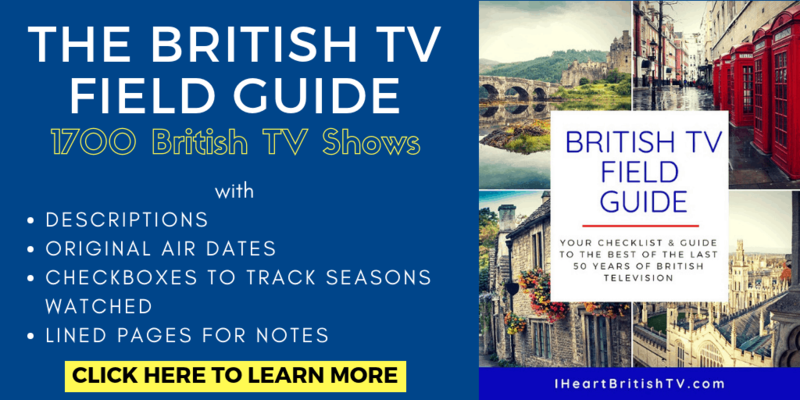 British TV is no longer some weird little niche now that the world is increasingly global and streaming services are all scrambling to find content to help them grow their subscriber bases. To read a description of the show, you might not think Bodyguard is all that exciting. It's a thriller about David Budd, a bodyguard assigned to protect Home Secretary Julia Montague after receiving a promotion to the Royalty and Specialist Protection Branch of the Metropolitan Police Protection Command. It could very easily be just another bland political thriller in the endless stream of political and terrorism-related thrillers, right? Bodyguard is so much more than that, though. The characters are well-crafted, production quality is high, and it has unexpected twists that are a notch above the usual uninspired thriller fare. Richard Madden shines as bodyguard David Budd, making a great case for himself as the next James Bond. Alongside Madden (Game of Thrones, Hope Springs) Keely Hawes (The Durrells in Corfu, The Missing, Upstairs Downstairs, Line of Duty) delivers a solid performance as Julia Montague. Bodyguard was created by Jed Mercurio, who was also the man behind hit crime drama “Line of Duty,” a series about the activities of a police anti-corruption unit in (roughly) Birmingham/the West Midlands. You can view the official trailer below. Now that Netflix has secured the rights to air Bodyguard outside of the UK and Ireland, we can start counting down to the premiere date. The first season will debut on Netflix on October 24th, 2018. We have no details about availability outside of Netflix, and it's unlikely they'll allow it to air anywhere else for a while (aside from DVD purchases). Will There be a Season 2 of Bodyguard? While there's no official word on a second season just yet, there's clearly an appetite for it. Creator Mercurio has indicated that he has ideas for a second series, but that talks are just beginning and it's too soon to announce anything just yet. Given the incredible reception the first season has received, we can't imagine them NOT producing a Season 2 of Bodyguard. Will You Tune in to the Premiere of Bodyguard? Will you be watching on October 24th when Bodyguard premieres in the US (and many other countries) on Netflix? Why or why not? Let us know in the comments! Yes, I will definitely watch! I absolutely will be tuning in to this premiere. Love British TV. I certainly will be. Friends in the UK have just finished watching and say it is top class. You know it will be miles ahead of the typical and boring fare on NBC CBS ABC and Fox who are still making the same old doctor, lawyer, cop shows. Yes was just reading this and turned on Netflix in Portugal and there it was. Aren’t I lucky.